The history-making Bobsled Team that represented Nigeria at the 2018 Winter Olympics were treated to a rousing welcome at the Murtala Mohammed International Airport (MMIA), Ikeja Lagos. 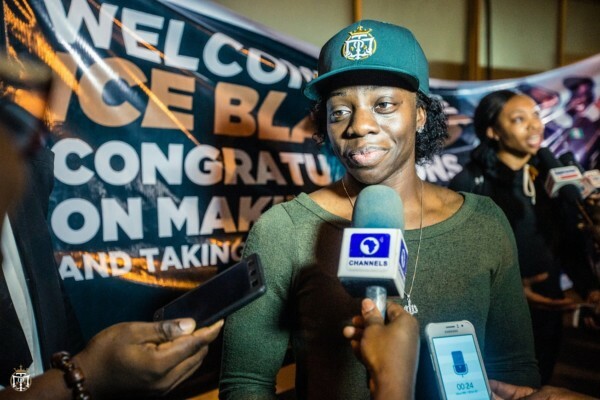 The Nigerian team to Pyeonchang, South Korea was led by Driver, Seun Adigun, with her teammates Ngozi Onwumere, Akuoma Omeoga and Simi Adeagbo. 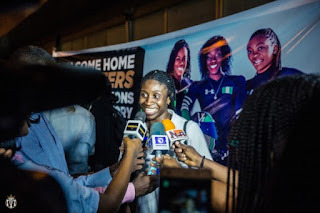 They were treated to a hero’s welcome at the airport, with a reception party put together by the Temple Management Company (TMC), the marketimg agency of the Bobsled & Skeleton Federation of Nigeria (BSFN). 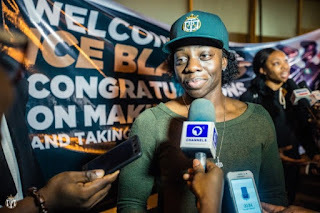 Among dignitaries who came to receive them were TMC talents including Bisola Aiyeola, Tee-Y Mix and Jeff Akoh.